No matter what the situation may be, there comes a time when you need to look into childcare. When that time arrives, you need to be sure that you choose a place that cares for your baby with as much compassion as you would. At Today’s Life Schools and Childcare, we make it our mission to care for the safety and well-being of your child as if he or she were our own. Whether your child is an infant, a toddler, or getting ready to start kindergarten, our skilled teachers create curriculums that are designed to teach and challenge your kiddo based on his or her learning ability. When you trust your child with Today’s Life Schools and Childcare, not only will he or she receive excellent opportunities for education and exploration, but you can have peace of mind in knowing that your child is in safe and loving hands. Contact us today to schedule a viewing of our Brooklyn Park location. 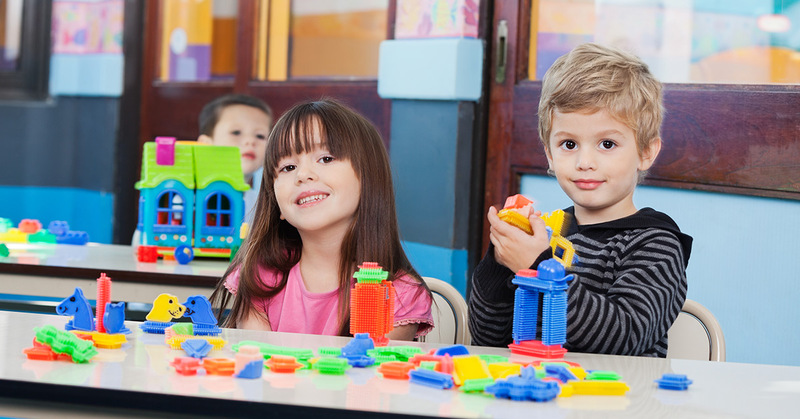 Once you’ve found the perfect childcare center, the next step is to prepare your child. Your kiddo is used to spending his or her entire day with you, and it will be difficult for both of you to let go. In today’s post, we will provide you with a few tips to make the transition easier. Before your child’s first day of daycare, it’s important that you talk through the decision. Even if your child is young, he or she will benefit from understanding why you are leaving them at a strange place as opposed to being dropped off without any explanation. Sit down with your child and let him or her know what will happen. Explain that they are going to a daycare center with many other children. If you know what the daily schedule will be like, explain it to your kiddo. Your kid will benefit from your reassuring tone, and understanding what will happen will make the first day of daycare that much easier. If you’re worried that your kiddo will have a hard time adjusting to the changes, try easing into the new situation. Inquire whether or not the childcare center offers partial days. The benefit of a partial day over a whole day is that you still have the opportunity to accomplish any work or errands that you need to get done, but your kiddo won’t be stuck in an unfamiliar place for very long. Once your child gets used to going to daycare, add in a couple days where he or she goes for the entire day, and eventually make the full transition to all-day daycare. On the first day of daycare, have your child bring something from home like a blanket or a stuffed animal. It will be difficult for your child to be away from home during those first few days, and having an item that smells like home or reminds him or her of mom or dad will bring some comfort. For older children, you can also send a picture of your family that your kiddo can look at throughout the day. Another tactic that you can try is to have a goodbye ritual. A goodbye ritual can be anything from a simple hug to a kiss on both cheeks. The importance of the goodbye ritual is that it happens every single day, allowing your child to know what to expect when he or she is dropped off at daycare. This ritual is also beneficial for parents because it provides a sort of closure so you won’t be tempted to linger at the door. At Today’s Life Schools and Childcare, we understand that leaving your child for the first time can be difficult, which is why we do everything in our power to make the transition, and your child’s time at our childcare center, as easy as possible. Our childcare providers make it their mission to communicate with your about your child, while also creating a fun and exciting environment for learning. Browse our website to learn more, and contact Today’s Life Schools and Childcare today!